In my last article I talked about performance from the viewpoints of Performance Psychologists. This time we’ll take a look at what neuroscience has to tell us by understanding more about left brain-right brain science. I have asked Sandy Cormack, a personal and organizational consultant to guest blog on the subject. He uses a neuroscience-based approach to team building, leadership development, creativity and innovation, change management, and business strategy development. In his recent article Battling for Creative Solutions, Jack Shaw introduces the concept of left-right brain creativity. Creativity might be the least understood cognitive function. The terminology isn’t that exact – even the Wikipedia definition Jack quoted is sorely inadequate for the true range of creativity our minds are capable of. But understanding the neuroscience behind how our brains function provides a much-needed key for unlocking our creative potential. There’s enough material to make a major series of articles, but I hope to cover the subject adequately for out purposes here in three. The first part is a general introduction to the issue. The second installment focuses on individual and group creativity the third installment addresses the group aspect. 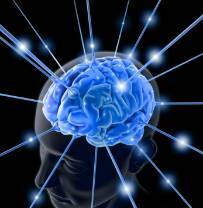 Our left brain thinks logically, systematically and in language. Our right brain thinks intuitively, strategically and in pictures. The two hemisphere function as two individual brains, but they’re connected by a fibrous network called the corpus collosum, allowing them to communicate and exchange information. 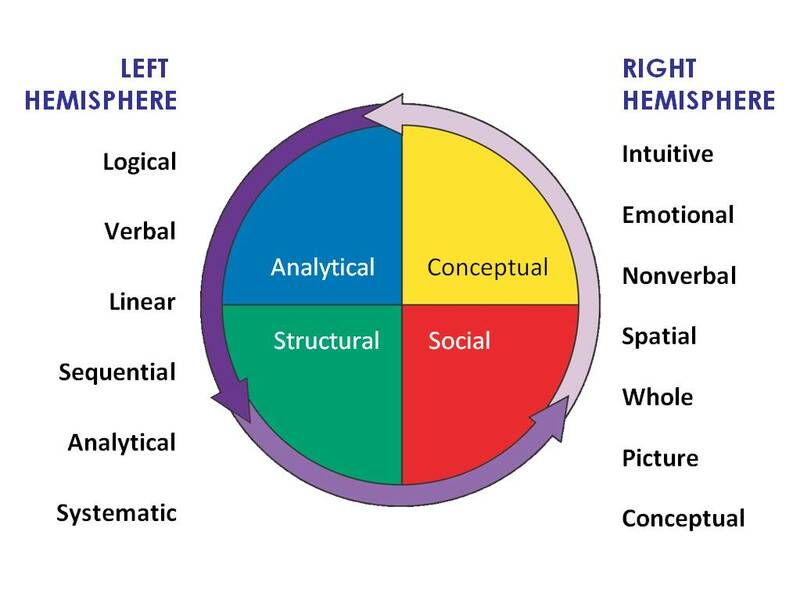 But there is an abstract and concrete component to each hemisphere that lets us move from hemisphere model to a quartile model – analytical, structural, social and conceptual. And although we use all these attributes in our thinking, we tend to prefer two or three of them. In fact, the majority of people aren’t purely ‘left brained’ or ‘right brained’ at all – they prefer aspects of both (a detailed description of the four thinking attributes can be downloaded for free at my Left Brain Right Brain Test website). Our Analytical brain likes to take something and refine it. It assesses the problem by gathering enough facts and data to achieve a clear picture of the current situation. It selects solutions based on rigorous analysis of cost and benefits, and it seeks ways of measuring results. Our Structural brain likes to take something and improve it. It tends to focus on process and procedure as likely problem areas, and relies on past experience for solutions (i.e., there’s no need to reinvent the wheel). It seeks closure so it doesn’t like to dwell on the problem for too long. Our Conceptual brain is the seat of our imagination and seeks novelty. It gathers as much information as it can and lets its intuition hatch innovative ideas (the ‘a-ha’ moment). It is energized by problem definition and ideation – it loses steam when it comes time for action. Implementation – determining what it will take to make the solutions happen and then doing it. Clearly there’s an important role for each of the four thinking attributes in this process. So everyone is creative – just not in the same way. You can think of this as creative ‘style.’ When you discover your thinking preferences, you gain clear insight into your creativity. But this creates a huge spinoff problem at the organizational level. We’re different people with different brains. Most organizations can’t get past the ‘mental dissonance’ caused by these differences – they never learn how to harness the creativity of the individuals into a powerful collective creativity. 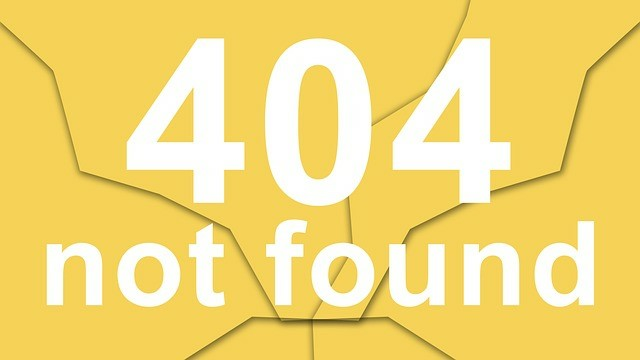 My follow-on articles will show how to address this problem once and for all, and help you develop a highly creative, highly collaborative organization in the process. Sandy Cormack’s report (available for download at http://leftbrainrightbraintest.com/) addresses the essential elements of a left brain-right brain test and provides a general introduction to left brain-right brain theory and applications. He can be reached at interzon@comcast.net. This is the first of three articles by Sandy for this Training and Development blog. Any aspect of how we learn and think affects how we train individuals and groups, and how we work with others. This may not be an obvious in the approach to training and development, but it definitely has its place. You have Sandy’s information. Now mine: I can be reached through my website, by commenting here on this blog or any of my others. You’ll find more of my writings on a variety of topics from the perspective I like to call the Cave Man perspective, which basically means we learn from wherever we are most likely to learn the best information to do the job. I don’t believe in one way of doing things; I hope you don’t either. I welcome those who have differing opinions or new ideas. I certainly don’t know everything. Please check out my new e-book available through all major distributors, A Cave Man Guide to Training and Development, my attempt at making clear what I do know to be true from my perspective. I believe it offers a refreshing look at training and development, while keeping the “cave” open to new ideas. Happy Training.